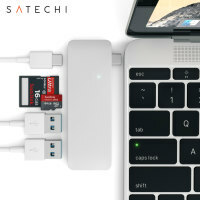 Using the USB-C (USB Type-C) port on your MacBook 12 inch, add 2 full-sized USB ports, an SD card slot and a micro SD card slot to your computer using this Satechi hub in silver. 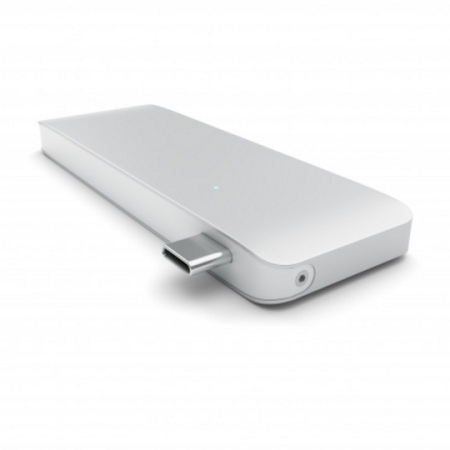 Plug in USB devices such as a keyboard, mouse or printer to your MacBook. Good all in one Hub! 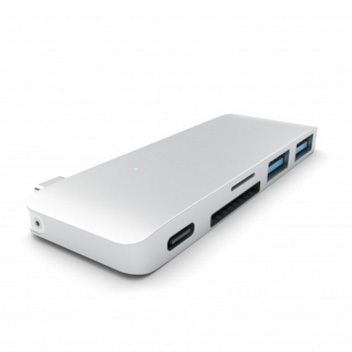 This is a really well built desk hub that works great for the MacBook that only have one USB-C port. The only thing I would suggest is to put some feeds on this device as it "droops" slightly(not the same height as the MacBook when on a flat desk) and can overtime bend the one and only USB-C port on the MacBook. I bought two of these so far for me and my friend and we both use it every single day. Excellent product. 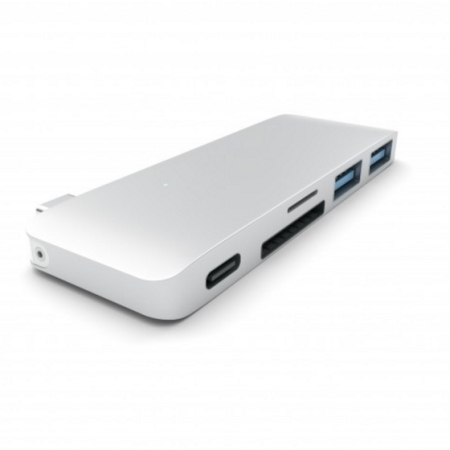 Beautiful product comes in multiple colours to match laptops or meet personal preferences. Exact thickness of my laptop allowing it to easily rest on the surface with my laptop. The device also has a tiny light to inform you of when the device is in use. 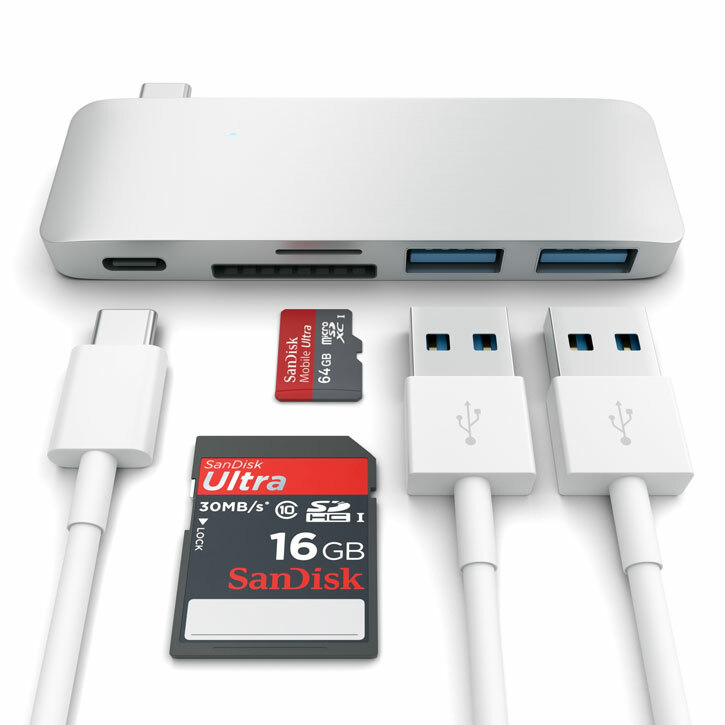 The decice has 2 USB ports-very handy when using multiple devices it also has 1 SDcard slot and a micro SDcard slot which as a photographer is the most useful for me. The device also has a slot for my charger. 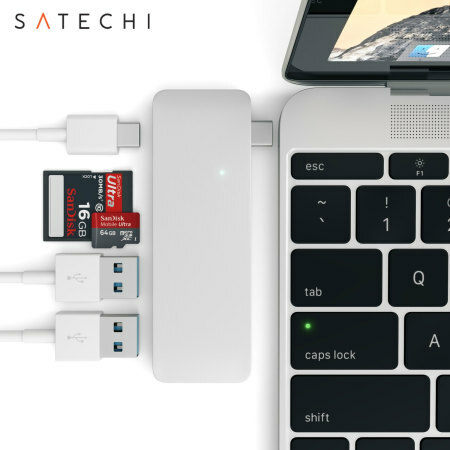 This Satechi hub also offers a USB-C port so you can charge your device while in use. 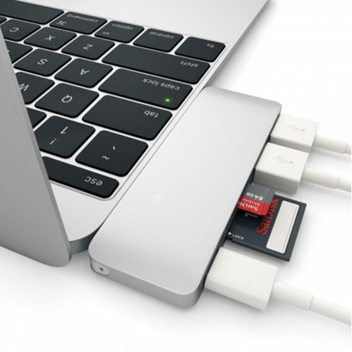 Connect a wide range of devices to your MacBook or USB-C laptop while replenishing the battery simultaneously.